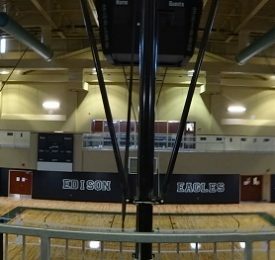 The new EPAC Multi-Purpose Athletic Facility complements the existing campus following the international style of architecture and use of matching building materials. 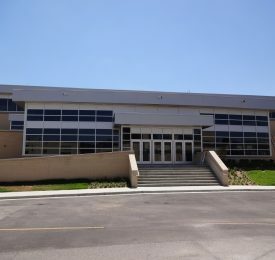 The new 57,000 sq/ft facility anchors the school’s athletic complex. 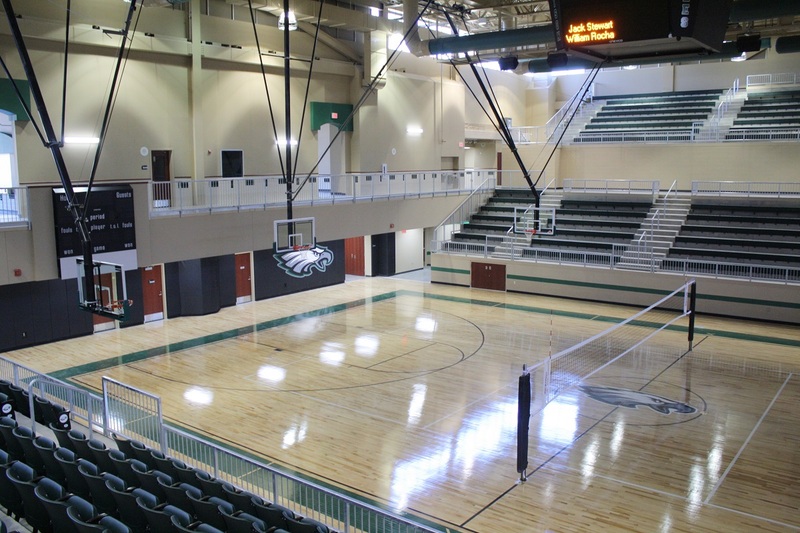 The facility includes a 1,200 seat arena along with locker rooms and practice facilities for more than ten different sports. 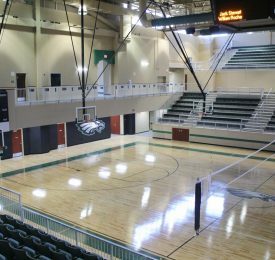 Amenities include a hospitality suite that services the basketball arena along with a gallery that showcases the schools rich heritage. 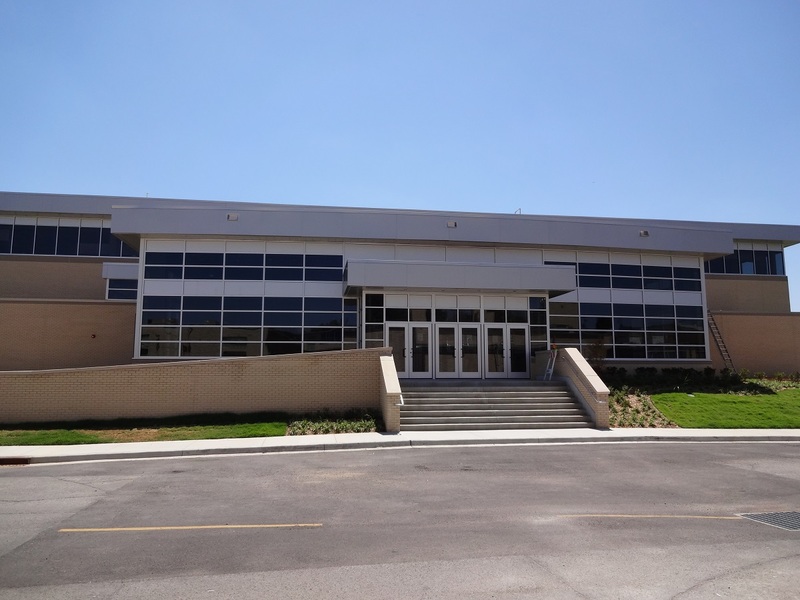 There is an indoor baseball, softball and golf practice facility along with a team film room, sports medicine training room servicing all student athletes, along with state of the art strength and conditioning room.